Leicester City Football Club triumphed recently when the trade mark experts at Serjeants successfully defended the club’s rights in their registered trade mark ‘LCFC’, preventing an application for a similar mark. 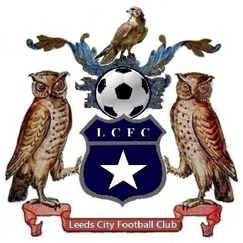 An application was made by Leeds City Football Club Limited (Leeds City Ltd) to register a trade mark consisting of a crest prominently including the letters LCFC. Leicester City FC instructed Serjeants to oppose the application as they own the UK trade mark registration of LCFC and felt that the Leeds City Ltd application conflicted with that registration. Leeds City Ltd is a private company with no connection to either Leeds United FC, the non-league football club called Leeds City Football Club, or any other football club that had played a match in the last twenty years. So, it was unclear why Leeds City Ltd was seeking to register a trade mark that was obviously intended to be the crest of a football club and that prominently included Leicester City’s trade mark LCFC. Amongst other grounds, the application was opposed on the basis of Leicester City’s earlier UK trade mark registration of LCFC. “the average consumer, even though deemed well informed and reasonably circumspect and observant, encountering the respective marks, may assume that the goods and services at issue are provided by the same or related undertaking”. As a result, Leeds City Ltd’s trade mark application was refused for all goods and services. One of the key elements that led to the success of preventing the registration of this trade mark was that Leicester City FC had registered and maintained their trade mark LCFC for all goods and services of interest since 2001. Obtaining, maintaining and using trade mark registrations of core brands makes opposing later applications much more straightforward. Need help in defending your rights of a registered trade mark? If you are concerned that another outfit may be infringing your rights as a registered trade mark owner, speak to Serjeants’ specialist trade mark attorneys for advice. Call us on 0116 233 2626 or contact us here.